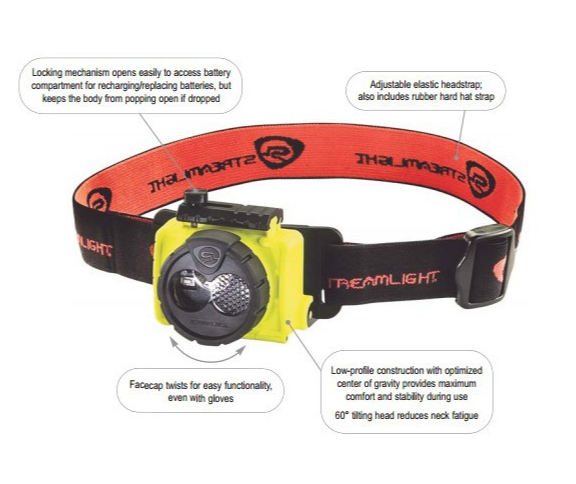 When you're looking for a headlamp that's compact, extremely lighweight, yet doesn't lack in performance---the Streamlight Double Clutch Headlamp may be the one for you! The Double Clutch USB Headland is a US Rechargeable LED headlamp. It offers a new technology called "Duel Fuel", that offers either a spot or flood beam and high or low lighting modes. It's easy to operate with a gloved hand, a simple facecap rotation can operate the light and anyone can do it! If you want easy, disposable power, then the three AAA sized batteries can e used. Or the Lithium Polymer battery can be charged inside or outside the headlamp. This light has bee made specifically to maximize run time and minimize weight to keep a low profile, center-of-gravity feel to give the utmost comfort and stability. The tough polycarbonate construction with the polycarbonate lens makes sure this light is tough and rugged for the unknowns on the job. It comes packaged with a comfortable elastic head strap, rubber helmet strap, and a USB charge cord for your charging convenience. The 60 degree tilting head design makes sure you can put that light precisely where you need it, whenever you need it. 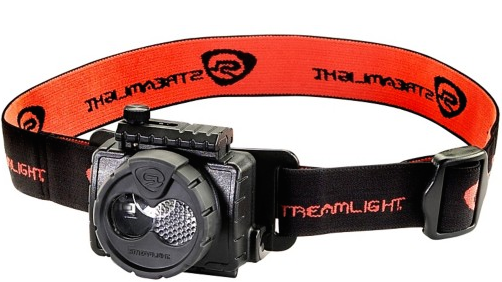 Check out the Streamlight Double Clutch Headlamp on our site.